Nothing I hate more than a lack of info when you really need it. If you want the right info on RDR 2 you have to write it yourself it seems. Ask yourself if it's really worth it. They really don’t since any bounties you amass will have to be paid off eventually, plus you’ll probably feel like a jerk afterward. I mean I get it Arthur Morgan is an outlaw but unless you’re doing an evil playthrough you’re going to take a serious hit to your honor gauge doing these. 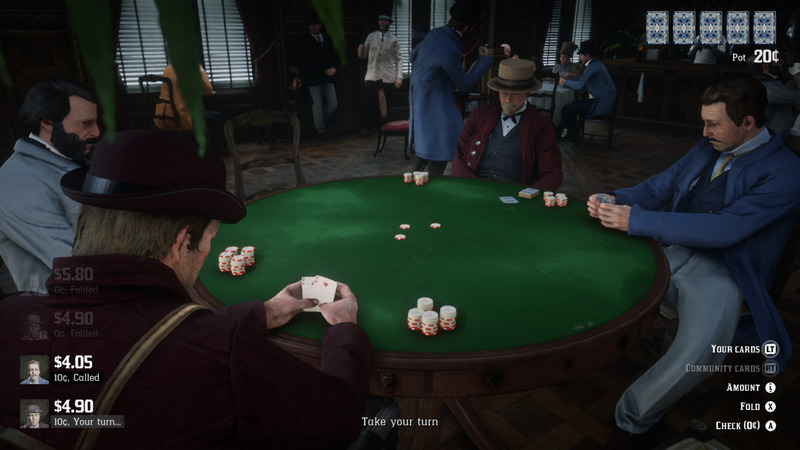 The Bandit Challenges are a new edition to Red Dead Redemption 2, and in my opinion aren't really worth doing, but in this guide I'll try to get you through these as painless as possible. Minus the .45 caliber bullet holes while escaping the law. As you do these Challenges you will lose honor points. 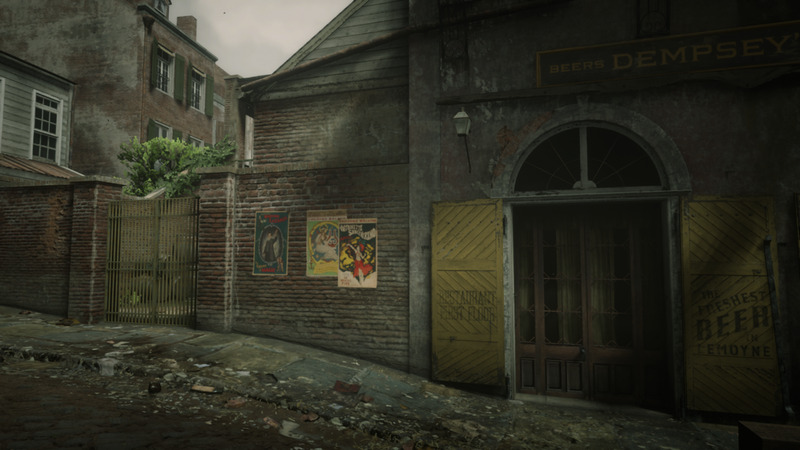 You can gain them back by walking around town (Saint Denis is best) and Greet citizens by holding Left Trigger/L2 and pressing X/Square. You can also do chores around the main Camp and donate Provisions and money (no more than $20 at a time). You can also throw back fish you catch (small ones caught with Bread and Cheese of course). Also doing good deeds during Random Encounters will also help you get back Honor points. Before some of these Challenges put on your Bandanna from the Items menu. After you commit the crime, escape the red radius and take off your Bandanna to make the Wanted Level disperse faster. 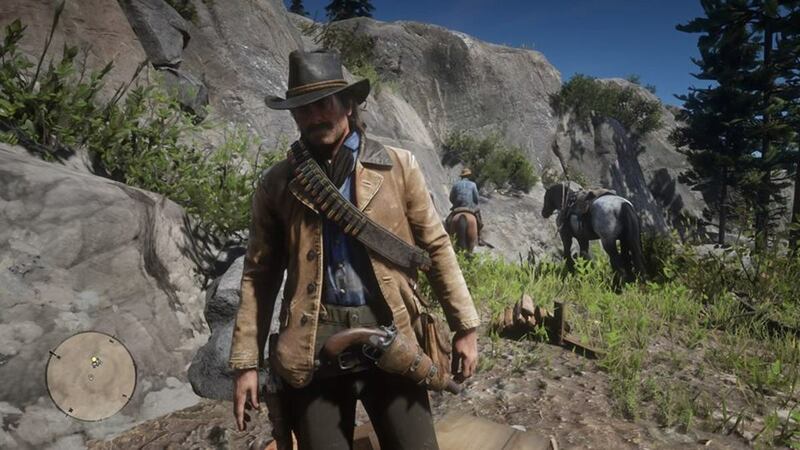 This also works vice-versa if Arthur has received a Wanted Level while not wearing it. To Holdup people pull Left Trigger/L2 and then press Y/Triangle. You don’t have to aim your weapon, but it might help with some people. If you do press Y/Triangle to Threaten which speeds up the process. 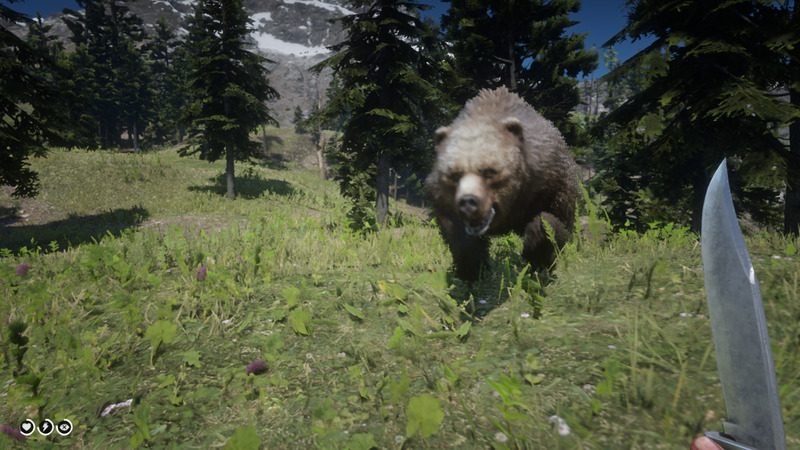 If you get close enough and press it Arthur will grapple the victim, however this has a chance of starting a fight some times. 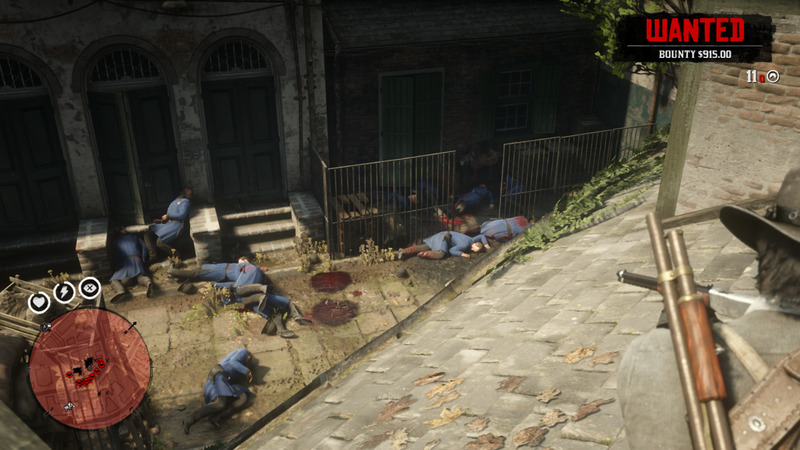 A great place to do this is the dock area of Saint Denis. To get there quick and early go to the Valentine Post Office (envelope icon South of the town) and buy a Train Ticket there. Follow the large road West and start Robbing lone citizens. Don’t bother chasing Witnesses, just run away and hide by the water’s edge and out of the red radius. Wait for your Wanted status to deplete then repeat the process four more times. When Can You Do It: Chapter 2 after “The Spines of America” Mission. They give you an option here but it should really be "and/or" since you can do both and get this Challenge done faster. While you’re at Emerald Ranch ride to the Post Office, there should be a Stagecoach waiting nearby. 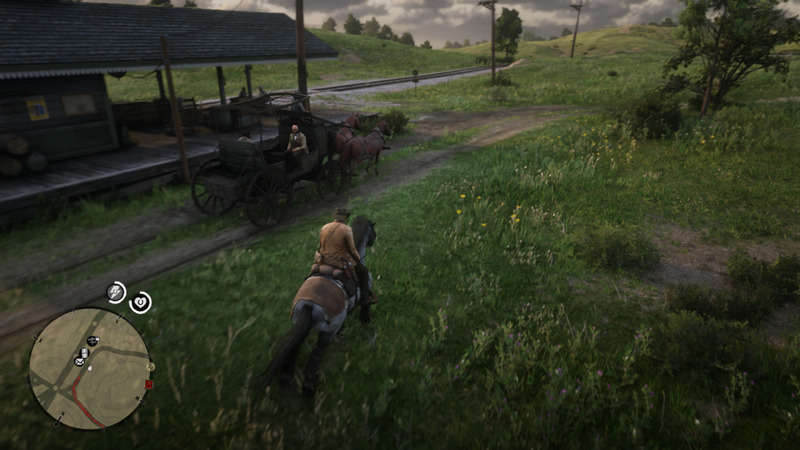 If not Take A Ride (by standing near the Stage post and pressing Y/Triangle) to Valentine, and then drive the Stagecoach back to the Fence at Emerald Ranch. Along the way stop somewhere quiet and either shoot the lock or use the Lock Breaker to open the back compartment. Pick up one of the boxes of bullets or the canned good, then drive the Stage to the Fence to complete this Challenge. Yeah that's right! You can both steal from the Stagecoach AND sell it to beat this Challenge faster. The Lock Breaker discreetly opens the back compartment of a Stagecoach. Afterward sell that same Coach to the Fence to get this Challenge done easily. When Can You Do It: Chapter 2, after Challenge #2, and best time is after the mission “Blessed Are The Meek?” and the Stranger Quest "The Noblest Men, and Woman"
If you’ve done the above mission you both A) Know where Strawberry is now, and B) have a huge freaking bounty in the state of West Elizabeth. The first thing is more relevant, but watch out for Bounty Hunters as you ride. 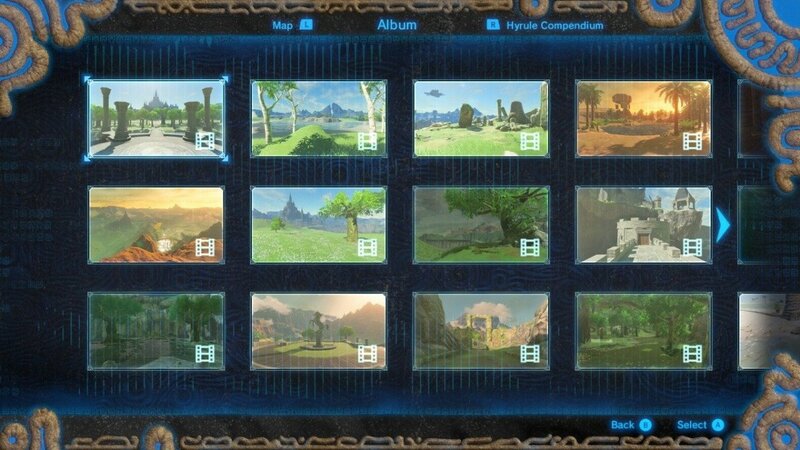 You will have 48 real-time minutes to complete this Challenge, plenty of time. Sleep until Morning or Wait Outside Until Morning near the General Store in Strawberry. Put on your Bandana (it will help later) before you go in. 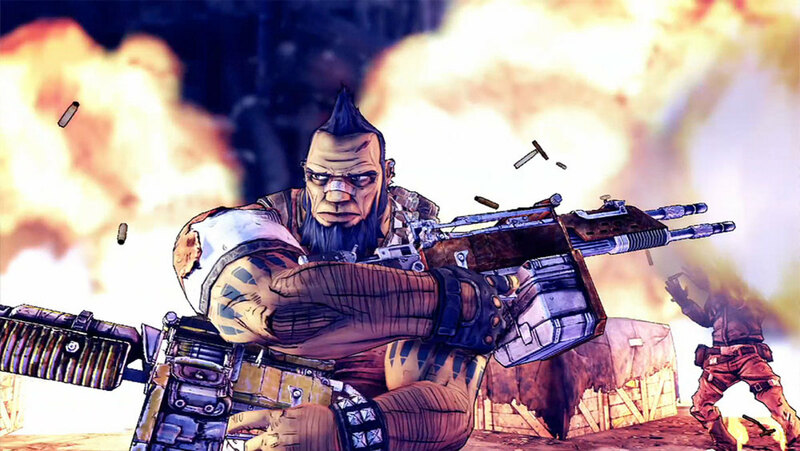 Robbing a store is like holding up a citizen, Pull Right Trigger/R2 to Draw Your Gun and Y/Triangle to Rob+Threaten. 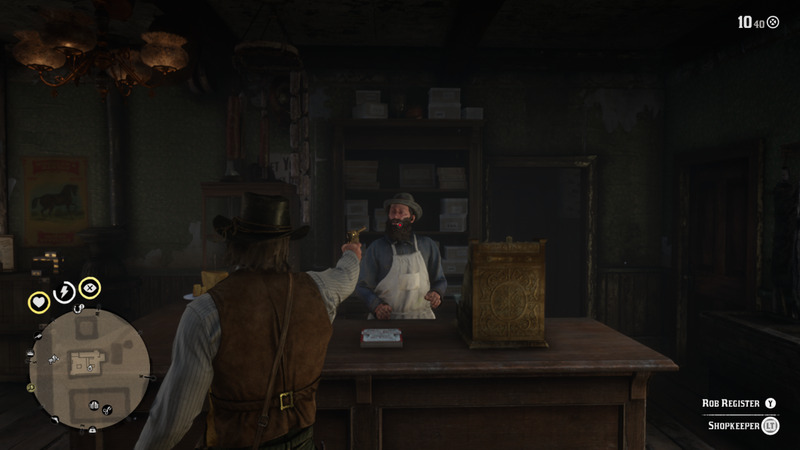 The Clerk won’t give you the money like in GTA Online, you’ll have to take it manually by pressing+holding X/Square near the cash register. (Research knocking out the clerk). Leave out the back entrance and mount your horse. As you’re waiting for your Wanted Level to disperse head to the General Store at Wallace Station and repeat the process. This one’s trickier since it’s right next to a train station AND might have other patrons nearby. The game won’t let you knock out this clerk for some reason, and he gets in the way while trying to rob the register. It is possible to prevent your Wanted Level by intimidating him afterward, but that doesn’t always help. Just ride toward Valentine and avoid the law. 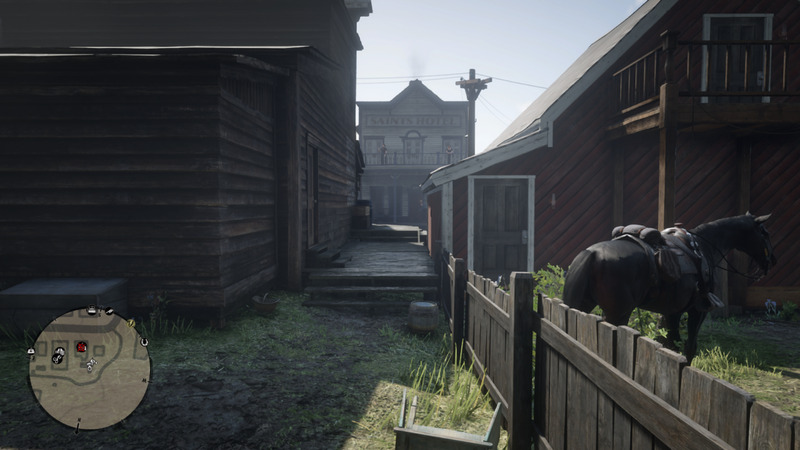 "Park" your horse around the back of the General Store (see first screenshot) and enter through the front. Repeat the robbery process, escape out the back door, and ride out of town heading south. If you have done the Stranger Quest "The Noblest Men, and Woman" you should have the town of Rhodes on your map. I suggest doing this mission early in the game since it will open up areas of the map early. Ride hard to the General Store there and leave your horse around the back (see second screenshot). Repeat the usual to beat this challenge. 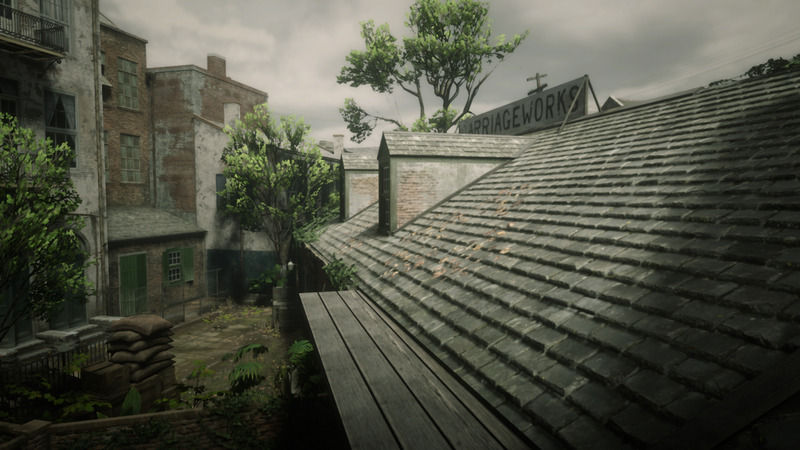 The back alley of the General Store in Valentine. Go in through the front door and use this back way as your escape route. The back alley of the General Store in Rhodes. Have your horse facing North-West for a quick getaway out of town. Use the side door as your escape route. This Challenge is a repeat of Challenge #2 except you have 48 minutes to do it. Do the same strategy as before; go to the Train Station in Emerald Ranch. If there is no Stagecoach parked there take a Stagecoach to Valentine then steal it, Lock Break the back compartment outside of town, then sell it to the Fence. If a Stagecoach isn't at the Emerald Ranch train station, then repeat the process. 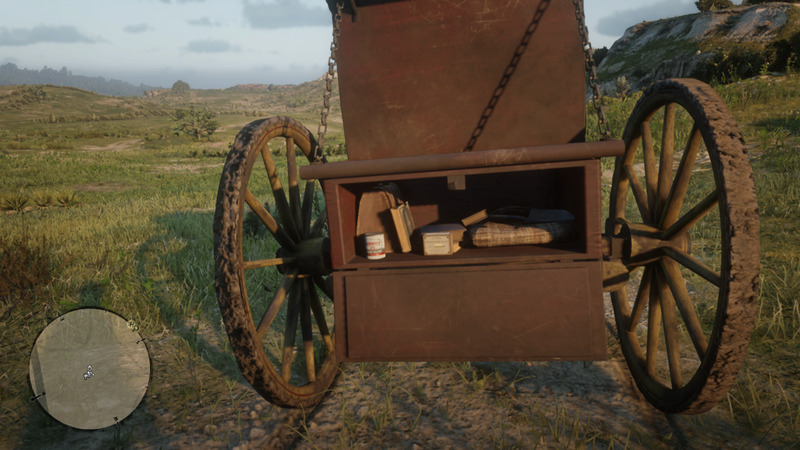 Travel to Valentine to spawn a Stagecoach, steal it, ride out of town, and either sell the whole thing to the Fence or Lock Break the compartment. Not all Stagecoaches are closed in, these open ones count too. You can typically find them along the main roads. 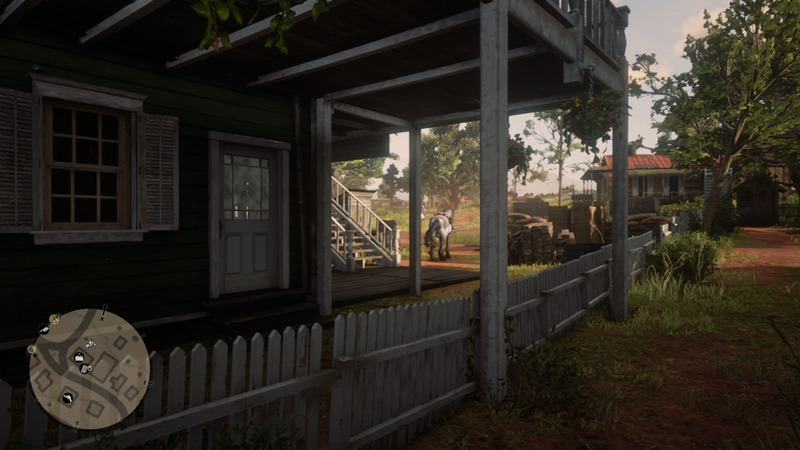 When Can You Do It: After Challenge #4, best if done after unlocking the Lancaster Repeater in the Chapter 2 mission "An American Pastoral Scene"
The gate to the left of Dempsey's Tavern. Go through and straight up the stairs. Crouch/take cover between these two windows when you kick off the gun battle. Keep in mind cops will come from three directions, but you'll be well protected here. You don't have to stop at $250 tehehe (but you can't seem to go past $1,500). The best way to do this challenge is by going up-and-down the main road between Rhodes and Valentine looking riders. This won't be a rare occurrence either. Ride up along the side of the traveler and press X/Square to Jump on their horse. From there ride back to the Horse Fence. Try not to steal horses on the road directly East of the Fence. You won't be able to Sell if there is an enemy nearby (i.e. the poor dude you just robbed who is shooting at you). On that note you can avoid a shootout/chase by targeting solo travelers. If you bring an enemy to Clive, and have to defend yourself, he'll turn hostile. Just ride away and come back again after a couple of days. Don't panic! He's not gone forever, just come back later. First off I don't know what they're talking about as far as "valuables" go since after selling some rings and bracelets to a Fence it didn't count toward the $50 total. So just focus on the word "cash" in this Challenge. As far as that goes this will take about as long as your strategy. You can grind Robbing travelers, and maybe get $1 per person (or get into a shootout if you don't approach them from behind). You COULD also repeat the Saint Denis thing that I said in Challenge #1 (doing that about 60+ times... yikes). 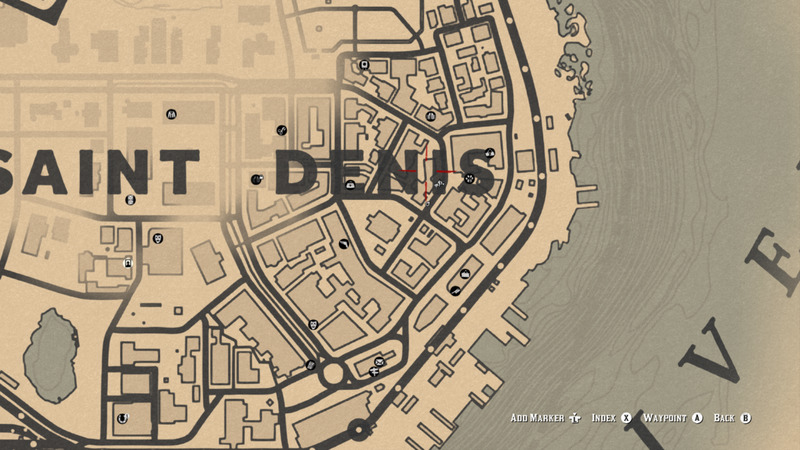 THE best thing to do is to go to Saint Denis then from there take a train to Annesburg. Stay on the train until it gets to the Northern part of the map, here there is a long tunnel (see first screenshot). Once in this tunnel start Robbing passengers and you should get $3-$4 per person. The guards on the train will attack you, but since you're up in this tunnel you won't have to worry about getting a Wanted status. Kill the guards, then finish Robbing every passenger you can. Don't get greedy though, your objective here is to Rob travelers. If you blow open one of the safes you're going to have the law come after you. Any money you loot from there won't go toward the quota. 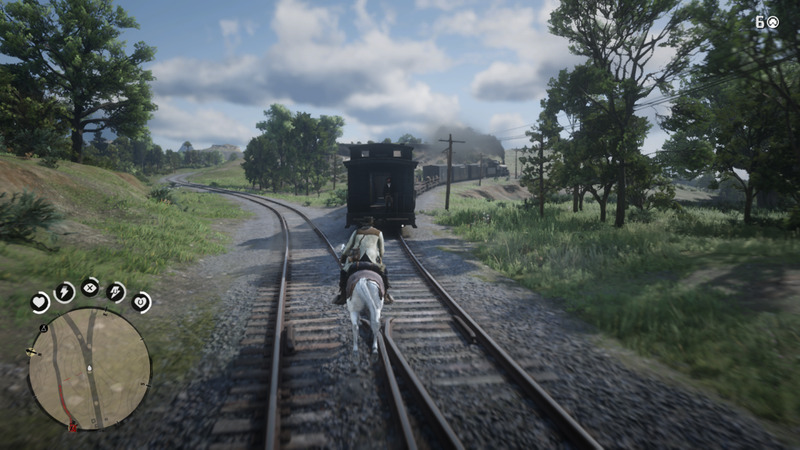 For some reason the train doesn't always move once it makes it to the Annesburg station (I guess Rockstar is onto us). You can still Rob a couple passengers before the ca-ca hits the fan, making $15-$17 (maybe less maybe more). 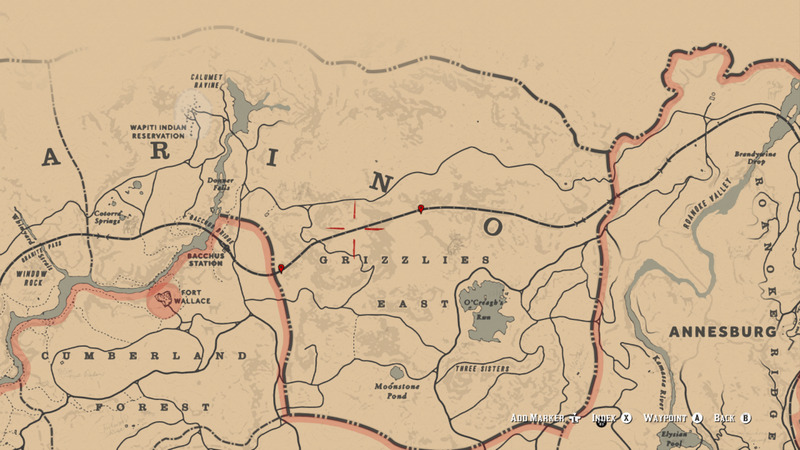 Just escape to Van Horn Trading Post, take a Stagecoach to Saint Denis (after you pay off whatever bounty you acquire that is), then train to Annesburg to repeat the process. You could also just ride to Saint Denis holding up any travelers you come across along the way. Just make sure you approach them from behind to get the drop on them, or YOU will have to shoot somebody. The tunnel for the "perfect" train robbery is marked between the two red markers. The tunnel is up North in Ambarino. 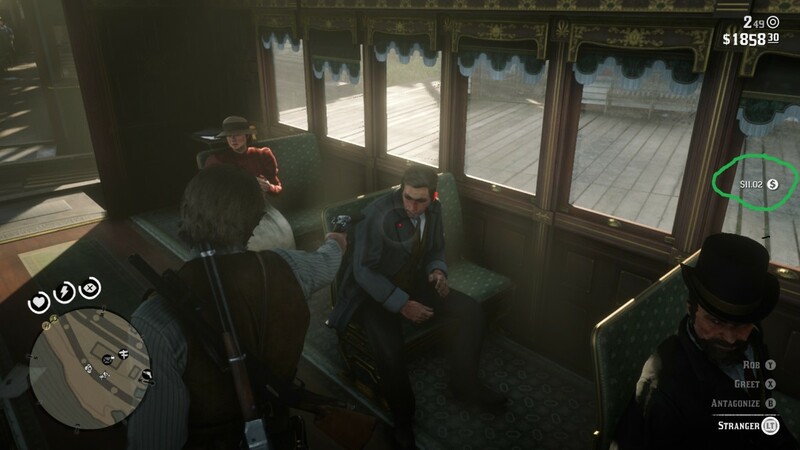 Taking a train from Saint Denis yields a good profit from each train passenger. When they say "wagons" it doesn't mean you have to steal seven covered wagons. Anything with four wheels will count toward this Challenge. Actually those two wheel carts might work to, I've honestly never tried. Stagecoaches, covered wagons, even those ones with the big wooden barrel counts toward this Challenge. Basically just jack any wagon you find travelling around Emerald Ranch and other nearby areas. Press X/Square while riding along the side to steal a wagon easier. I'm sure certain wagons give you a certain amount of money, but I haven't got a full list of that. I imagine the cargo might have something to do with the amount of money the Fence gives you, but whatever damage you cause to it is definitely a factor. Rockstar has taken yet another of Red Dead Redemption 1's unofficial features and turned it into a Challenge. The title says it all; Lasso three people and place them on the railroad tracks. No you don't have to do three at the same time. Everything you have just read IS the entire Challenge. You don't even have to wait for the train to come by. If you're feeling bad about it, you can pick the Stranger up or cut them free after. 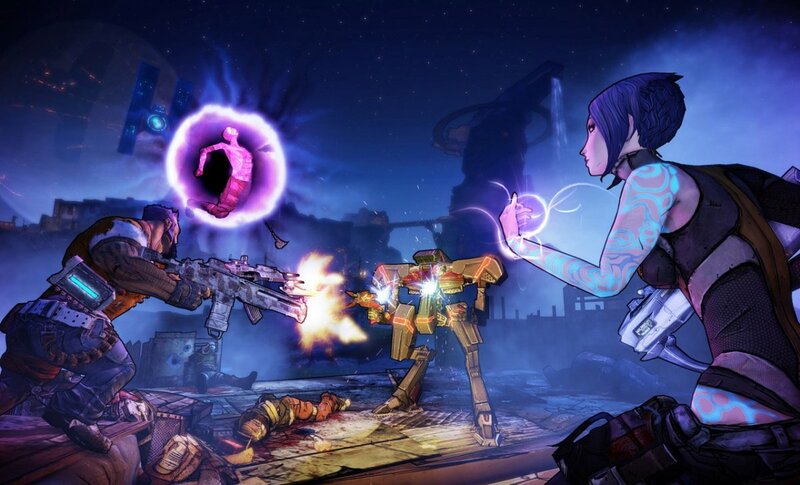 If you you're doing this during Chapter 3 you can use Lemoyne Raiders, no one's going to miss them! Get off the train, mount your horse, and wait for the train to leave the station. Follow it on horseback and shoot the guard, on the caboose, with an Arrow. From here you have about 30 seconds before the rest of the train guards get magically alerted to their buddy (that they don't see) being dead. I suppose there's some hidden 19th Century heartbeat motion sensor. Doesn't matter! Like this Latino girl I once knew the secret is in the caboose. Search the drawer of the desk on the left. If there's no Money Clip grab a pack of Premium Cigarettes or a canned good. Once you do you've just robbed the train Jesse James. Now it's time to jump off, mount up, and escape your Wanted Status. You just have to do the above four more times. 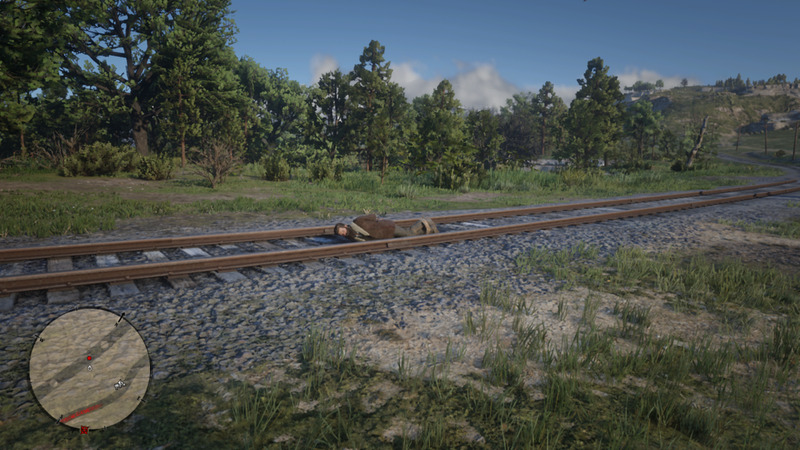 Keep in mind that after the first robbery the game seems to catch on to what you're doing and the trains never depart the station. Go ahead, be impatient, and do the above strategy minus the chase after the train with horse bit. Just remember; to beat this Challenge you just need to grab an item from the caboose on five separate trains. An Improved Arrow is best, oh and Dead Eye of course. Just shoot THIS rear guard, then jump on the train. You'll still get spotted after 30 seconds, but you won't be there long.